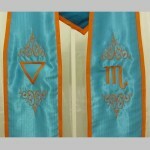 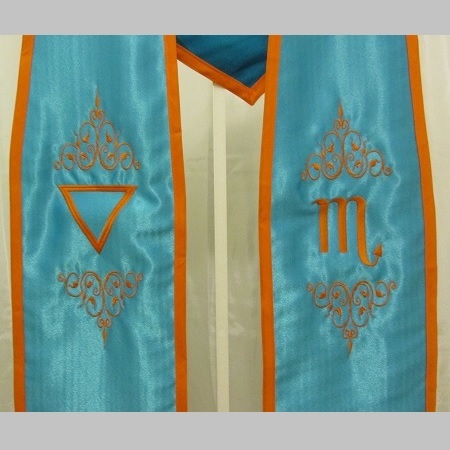 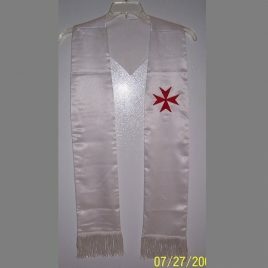 Bue satin stole with orange embroidery and trim. 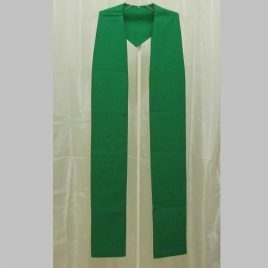 Stole is crepe back satin with cotton lining. 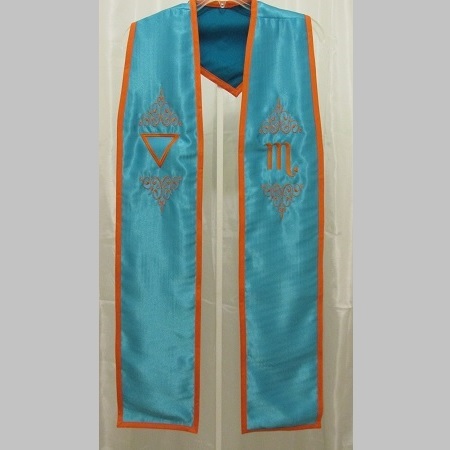 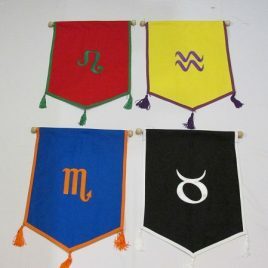 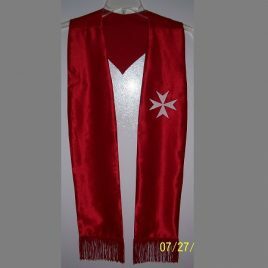 Measures approximately 40 inches from shoulder to bottom of stole.